Moana is Disney’s latest blockbuster animated film, featuring a few talented Kiwis’ voices. 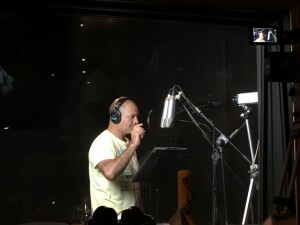 We had the pleasure to record original dialog as well as ADR with Temuera Morrison (as Moana’s dad), Rachel House (as Moana’s grand mother), and Oscar Kightley (as villager) in our studios for this beautiful masterpiece. Disney required a studio with experience, and recording space and equipment that are suitable for a production of this scale. And we delivered. These sessions were directed remotely and audio and timecode were sent down via ISDN for picture lock. We also setup professional cameras to film the actors for their expressions. A separate camera and screen was also setup for video conferencing with L.A.